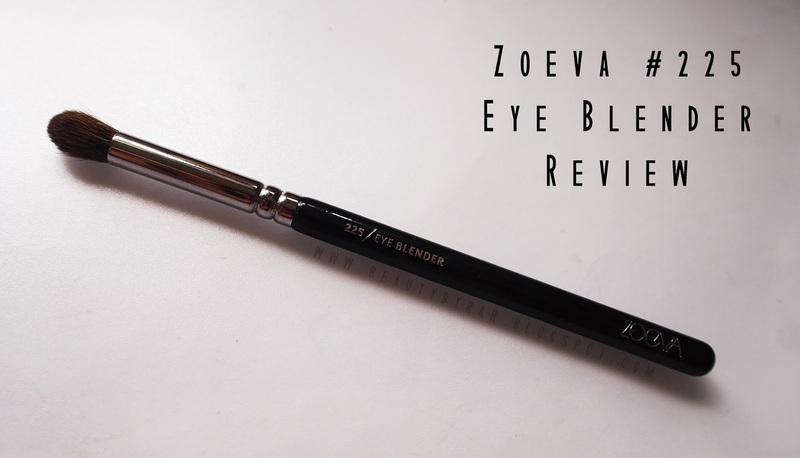 Today I will be reviewing the Zoeva #225 Eye Blender brush! 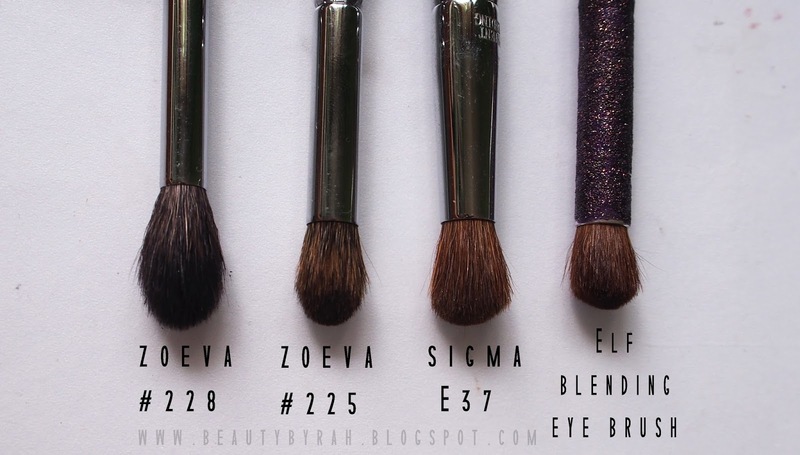 I'm all about them blending brushes, as I feel that they play the largest role in achieving the perfect eyeshadow look. Zoeva brushes have been great so far, I've bought and used 3 of their sets and their eye brushes are really good. The bristles are really soft and I have experienced no shedding from the brushes so far. This brush caught my eye as the bristles are shorter than the #228 Crease brush. 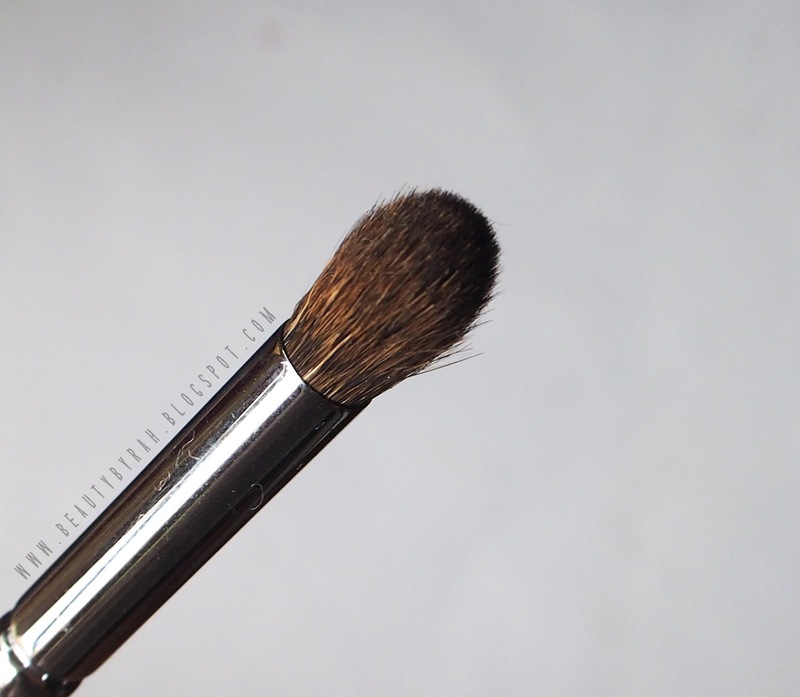 I did a review on the #228 Crease brush which you can check out here. I mentioned that the bristles of the #228 are pretty long, thus lesser control over the area of blending and a more diffused blend of colour. So, for Asian lids, this may not be the best blending brush. This #225 brush, however, has the perfect length of bristles that can provide you with control, precision and it will get the work done without taking the colour too high up. Perfection, I say, for them Asian lids where we don't have much space to work on. Made with natural bristles (squirrel), this brush does the blending really nicely as the bristles are able to pick up and deposit pigments nicely onto the lids. The bristles are really soft and of good density. It does not pull nor drag on the lid while doing the famous windshield wiper motions either. I've had this for about a few months now and washed this at least 8 times now, and I'm proud to tell you guys that I did not see any hair shed so far. Overall, I highly recommend this blending brush. For Asian lids, monolids, hooded lids, this brush is perfect as the size is not too big. For those of you who have a good amount of lid space (lucky you! ), you can opt to use this to add colour into the outer V and for precision work if you would like as well. This retails for $14.50 on Luxola right now, which you can check out here. Hope this review helped you guys in some way! Thanks again for dropping by.